BigMIND allows you to import the files you have under your other storage services. Import from Box, Dropbox, Google Drive, and One Drive into your BigMIND account. You will be able to find your documents, photos, and videos in record time. You can also connect your Facebook, and Instagram accounts to your BigMIND account. Store all your personal photos and videos there. We will explain how to connect these Cloud services with your BigMIND account in this article. This will make BigMIND stop syncing with the service you unlinked. However, the previously synced files will stay under the user’s account. To unlink a service, here is what you need to do. 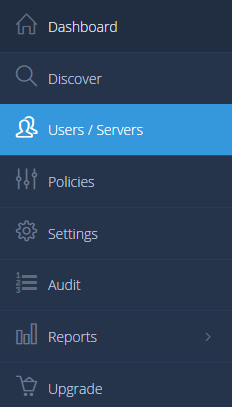 Select the Users/Servers option from the menu on the left. Select the All Users option. A list the users added to this account will be shown. Click on the name of the user that wants to unlink the added services. This will open the User Info page, which includes information about the backup of this user. Click the Services option. A list of the Cloud services added by this user will be shown. Click the Actions icon ( ) of the service you want to unlink for this user. Select Unlink Service Name. This will make BigMIND delete all the previously synced files from this service. Click the Services option. A list of the Cloud services added by this user will be shown. Click the Actions icon ( ) of the service you want to unlink for this user. Select Delete Service Name.